By all rights, comic books and video games should be like chocolate and peanut butter: the two great entertainments that entertain great together. In reality, though, that's not always the case. Maybe it's just the differences in the way they work -- video games being designed to put the person they're entertaining in an active role, while comics are more observational by their nature, telling stories the reader observes rather than experiences--but comics based on games fall flat as often, if not more, than they succeed. Whether it's an attempt to hang a four-issue plot on something with about as much depth as Pong or bizarre storytelling tricks that just flat out get it wrong, there are a lot of video game comics out there that just don't work. But believe it or not, there are some good ones too, and with Dark Horse's tie-in to BioWare's wildly popular (and reasonably awesome) Mass Effect recently hitting the stands, we've got the perfect opportunity to take a look at the game tie-ins of the past! So join us, as ComicsAlliance contributor and child of the 8-bit generation Chris Sims plays with power in a rundown of our favorite (and least favorite) video game comics! As the star of the single greatest series of side-scrolling action platform games that are not about saving a princess or beating Dracula to death with a whip, Capcom's Mega Man has crossed over into other media several times, including a Saturday morning cartoon that gave him the abs of an Akira Toriyama character and a truly amazing series of educational videos about life in Japan that are available from Netflix. 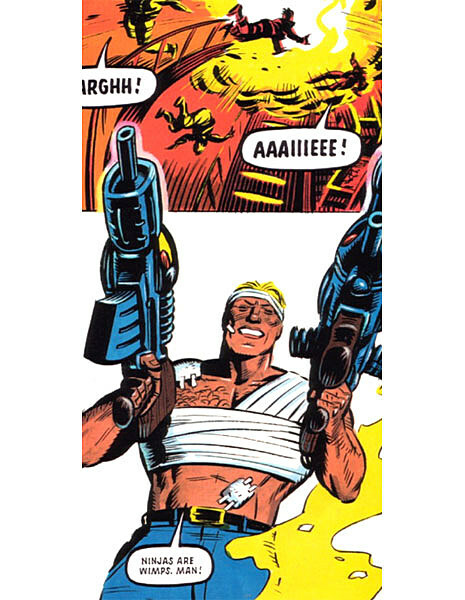 His American comic book adventure, though, took a pretty unique tactic: incorporating elements of the game into astory where the fighting robot adopted a secret identity and went to Junior High to learn what it was like to be a real boy. Written by Brian Augustyn -- a familiar name to super-hero fans thanks to his role as editor and occasional co-writer on Mark Waid's character-defining run on "The Flash" -- with art by Mic Fong, it was one of the rare video game comics that provides an interesting take on the character while adding a whole slew of new stuff to fill in the gaps in plot that arose from the fact that, for around 19 games, the Mega Man series was basically about shooting guys in the proper order. 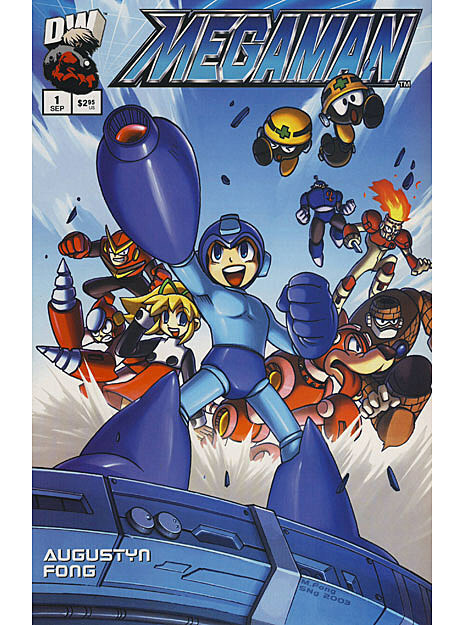 Unfortunately, while the first four-issue mini-series was fun enough to qualify for "romp" status, Dreamwave would collapse less than a year later, and the promised follow-up featuring "Mega Man X" never happened. Which is a shame, because this was basically "Pinocchio" meets "Scott Pilgrim" with killer robots, and that is awesome. Back in 1992, when anime was still something you had to hunt for at the flea market and "manga" pretty much meant "Akira," the full-color Legend of Zelda comics that ran in the pages of "Nintendo Power" were the first look a lot of cheat code-hungry kids got at Japanese comics. 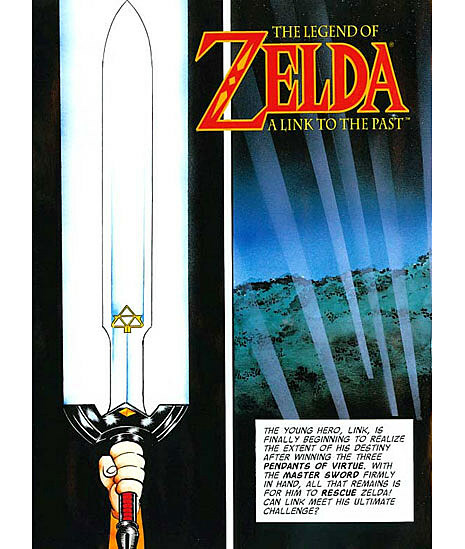 And what's more, they were good: A few pieces of cheesy dialogue aside, the story of Link's quest to get the Master Sword and rescue the princess were thrilling for "NP's" young audience, and about as close to Osamu Tezuka's work as a kid could pick up at WaldenBooks. And of course, it didn't hurt that you were getting a peek at the storyline to one of the hottest and most highly anticipated games ever, either. 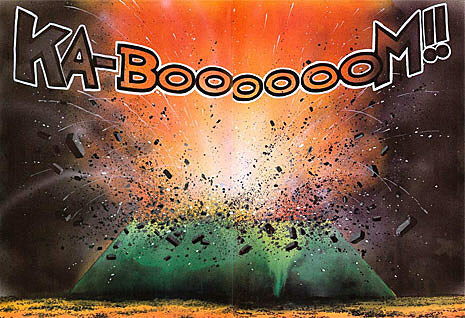 There's nothing strictly wrong with deviating from the plot of a game--in fact, for a lot of games-turned-comics, it's a necessity--but when it comes as part of a magazine that's ostensibly built around tips and tricks, there's going to be a lot of wandering around the game wondering why your paltry bombs don't bring the roof down right on Dodongo's head, not to mention the new characters and surreal dream sequences that had no chance whatsoever of making it onto the Super NES. Still, on its own, Zelda was a ton of fun. Valiant's Super Mario Bros. comics, on the otther hand, were another story--literally. While the Zelda comics took artistic liberties with the (admittedly limited) story of the game, the Mario stories could only have had less to do with "Super Mario Bros." if they didn't actually star a plumber named Mario. 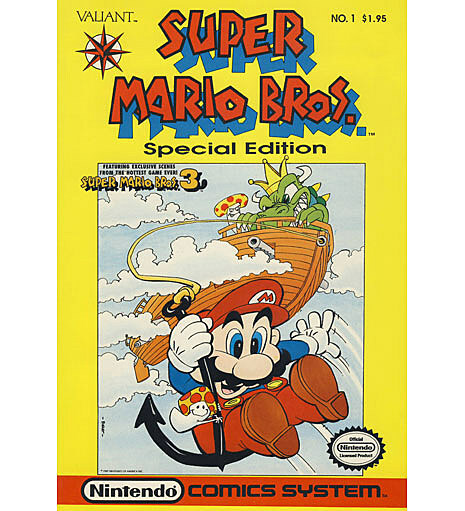 To be fair, we can understand this: The comics came out just before "Super Mario Bros. 3," meaning that they were based on the surreal second game, where the plot was that you fight giant transsexual dinosaur birds and fly in rocket ships so that you can throw vegetables at a giant lizard, and also it's all a dream. That's the kind of story that doesn't really translate well to any medium that is not an acid trip, so we can see why there'd be a desire to branch out. Even so, this one goes right off the rails. The cast was expanded to include Princess Peach's father (who is allegedly funny because he's dumb) and "Wooster" (what is that guy supposed to be? A Toad? A Super-Mushroom that somehow talks and has a supporting role? ), who were not only annoying and involved in stories with plots like "Mario solves the Mushroom Kingdom's budget crisis" (really), but also saddled with jokes that read like rejected punchlines from Super Mario Bros. Super Show, but without the inherent charm of Captain Lou Albano to redeem them. And like Zelda, despite the cover's promise of "exciting scenes" from what was then the hotly anticipated "Super Mario Bros. 3," the comic utterly failed to deliver. At least Fred Savage's "The Wizard" showed you how to get the Warp Whistle. 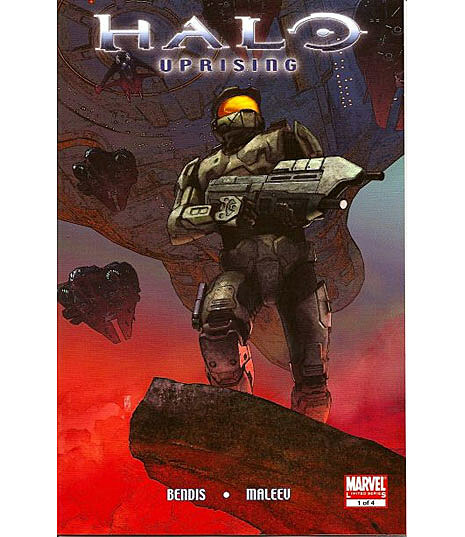 Hey, remember that time Brian Bendis and Alex Maleev were going to do a comic that bridged the storylines of "Halo 2" and "Halo 3," but it was so late that it ended up finishing an entire year after "Halo 3" came out? We could fill an entire article on the Sonic the Hedgehog video games and their mind-boggling fall from classic fast-paced platformers through the increasingly dismal legacy of games that are largely about Sonic's ever-increasing cast of supporting characters that seem to be brought in directly from FanFiction.net, but that's for a different time. We're here to talk about the comics, published by Archie, which are remarkable in that they've been going for SEVENTEEN YEARS. 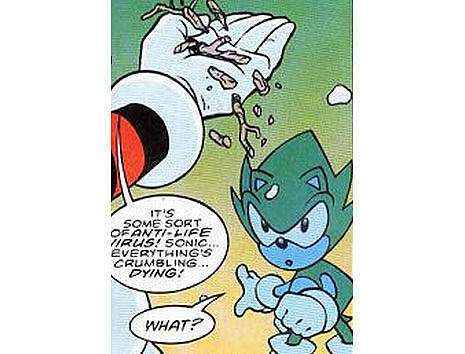 The UK Sonic comics lacked the longevity of their American counterparts, but what makes it interesting is that after the series ended, it was kept alive by fans who not only produced an online version themselves, but kept the original numbering of the series and becoming a touchstone for an entire community of young comics creators. 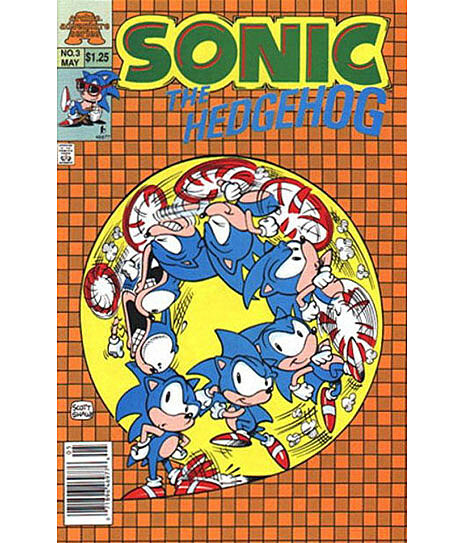 Speaking of the UK's "Sonic the Comic," everyone's favorite hedgehog wasn't the only feature that ran those pages: Early issues also saw a "mega series" based on Streets of Rage, Sega's answer to "Double Dragon" that followed the time-honored beat-'em-up formula of guys punching each other. The comic version adds a plot involving crooked cops that reads like the younger brother of "2000 AD," but it's notable for being one of the early comics by now-famous writer Mark Millar. 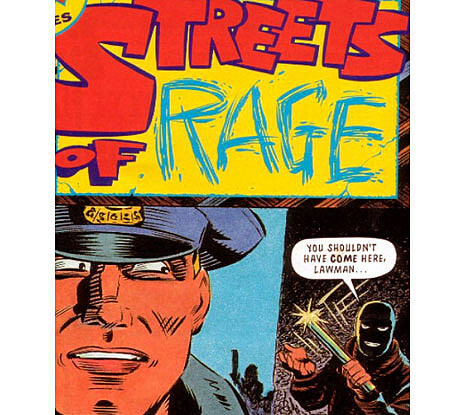 ...it's the comic Millar's been trying to write again ever since. 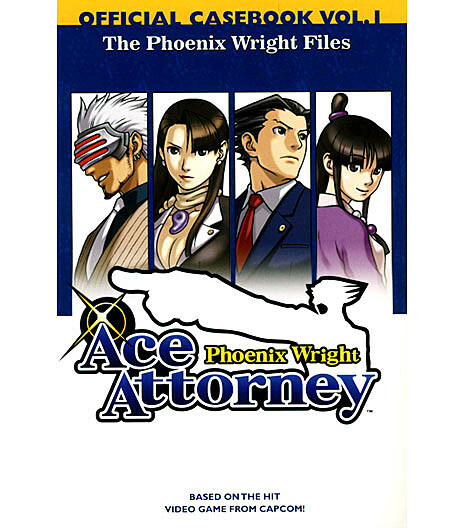 Owing to the fact that it's a "visual novel" style game -- meaning it's less of a game and more of an illustrated story that you have to make the right choices to keep reading -- Capcom's Phoenix Wright series and its highly dubious lawyering would seem to be a natural fit for comics. The creators would just have to tell the same kind of stories they were already creating for the games -- Phoenix gets hired by an accused murderer with the evidence stacked against them and, through investigation, spirit-channeling (!) and luck, manages to "rise from the ashes" to win; repeat for three games -- only without the reader having to poke at random things on a screen to turn the page. 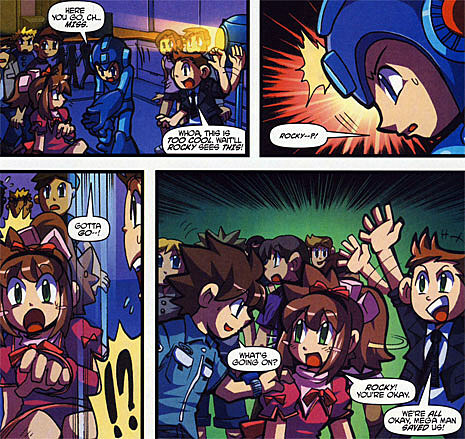 But instead, the "Phoenix Wright Files" manga pretty much involved turning the story over to fans of the series to do short vignettes that appear to be about whatever the heck they wanted to do, which is not necessarily a bad thing. Sure, it's bizarre and jumbled, but iff anything, that fits the strange nature of the series perfectly. 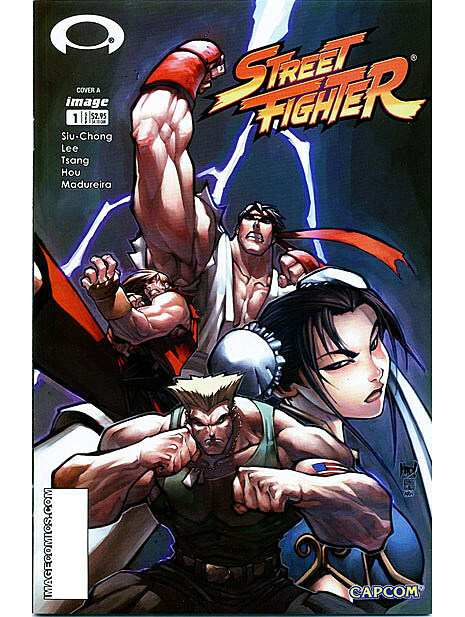 Owing to its continuing popularity, there have been more than a few comics based on the Street Fighter series, including three issues from Malibu in 1993 that it's better if we never speak of again. The 2005 series produced by Udon Studios -- first for Image, and then published themselves -- were the ones that got it. This is thanks largely to writer Ken Siu-Chong, who similarly adapted the "Darkstalkers" series to the page. 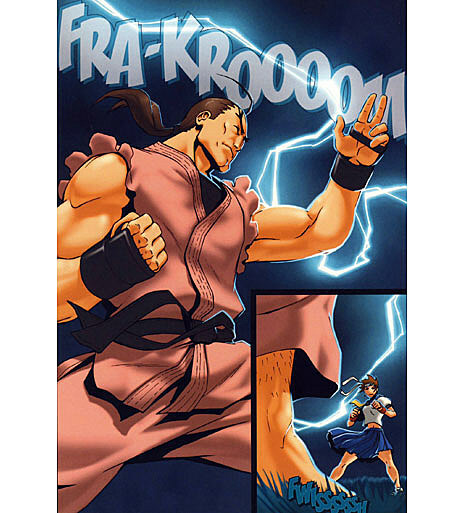 Siu-Chong gets that at its core, "Street Fighter" is a game about people fighting that aspires to be the best fighting game it can be, and so the comics aspire to be fight comics. There's just enough story to give the characters reasons to throw fireballs at each other without bogging them down, and in issues like the "Sakura" mini-series, it proves that it doesn't take itself too seriously either. ...it features Dan Hibiki, the greatest video game character of all time.